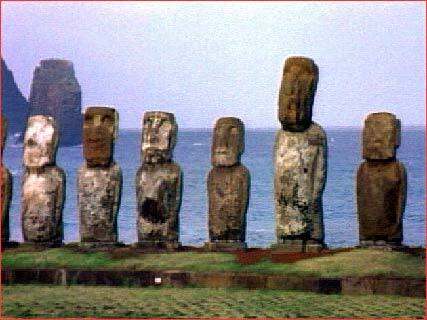 Nobody knows how the people on Easter Island moved the giant moai. 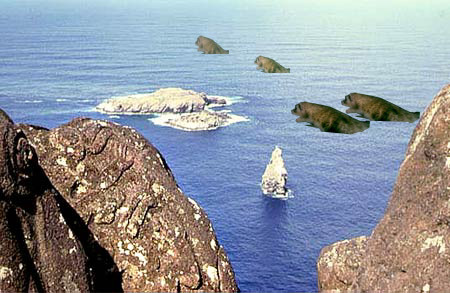 The big mystery is how the moai were moved from the quarry. There are many different ideas on how they did it. I have my own story on how they did it. 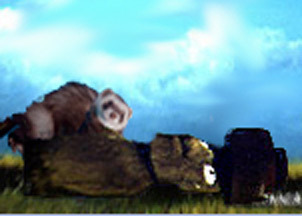 Before there was people on the island giant ferrets lived there. 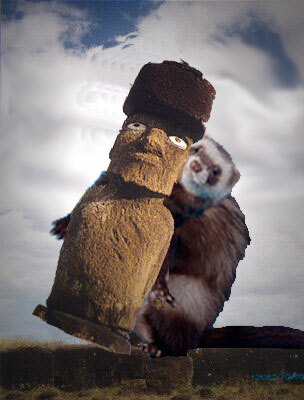 When the people came to the island from South America in big canoes they made friends with the giant ferrets. One day Boo-Boo got an idea. He told everybody,"hey we should make statues of heads." They did this because they wanted people to have something to see when they went by in boats, like look at the statues. The people carved them and the ferrets rolled them to the ocean and stood them up. When they were done they thought "hmmmm what should we call them?" Then Boo-Boo blurted out "I know! 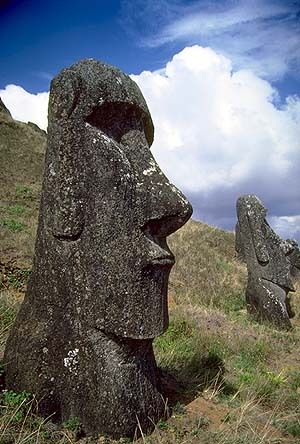 We should call them Moai." Everybody agreed. But as time went on, people made them so big the ferrets couldn't move them. This made the ferrets very sad. So all the ferrets jumped in the water and swam away. 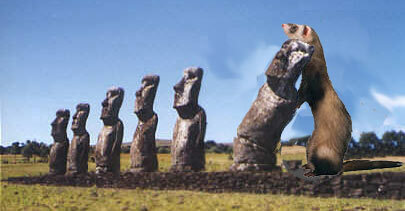 Nobody knows where the ferrets swam to, it is one of the mysteries of Easter Island. Now, all we know of the ferrets are these pictures. Nobody knows how they took these pictures. Easter Isand is a very mysterious place! !